Komline-Sanderson Dissolved Air Flotation Clarifier is suited for wastewater streams containing solids, oils, and greases, which are difficult to settle or have a tendency to float. With proper chemical conditioning we remove colloidal and emulsified materials. Complete pretreatment systems can be supplied. 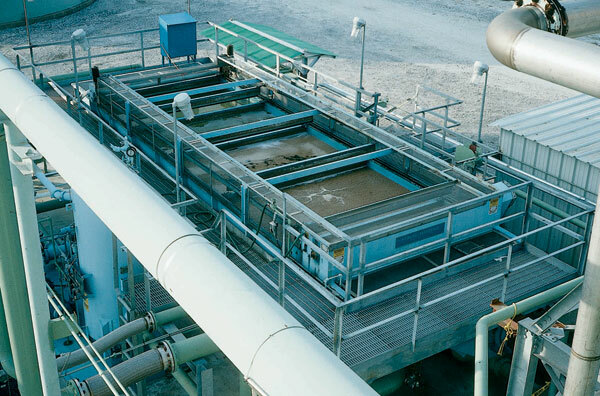 The Komline-Sanderson Dissolved Air Flotation Clarifier is designed for the removal of suspended solids or water immiscible liquids from process or wastewater to produce an effluent of high clarity and free of objectionable particles or liquid. Dissolved air flotation is best applied to remove materials that normally settle slowly, persist by remaining in suspension, or have a tendency to float. Dissolved Air Flotation (DAF) is a process for the removal of fine suspended material from an aqueous suspension. The term “flotation” indicates something floated on or at the surface of a liquid. The DAF provides the energy for effective flotation in the form of extremely fine air bubbles, which become attached to the suspended material to be removed. This attachment of bubbles to the particle “reduces” the density of the particle resulting in increased buoyancy, thus effecting flotation. Chemical conditioning is often used to increase the effectiveness of the dissolved air flotation process. The most reliable and positive method of producing bubbles of the proper size is to dissolve air into water under pressure and to then reduce the pressure of the solution. As the pressure is reduced, the air comes out of solution in the form of microbubbles. Wastewater is pretreated with chemicals. Treated influent is fed to DAF unit. Recycle is drawn off effluent line and is sent through the air dissolving system and then sent back into the DAF. Air is released from the recycle flow and the bubbles help to float solids in the DAF tank. Float is skimmed from the top of the tank. Clear effluent flows out of the unit. How do I know if a K-S DAF is right for my process? What is immediately upstream and downstream of the DAF? What is most important: floated solids concentration, effluent clarity, capital or operating cost, etc.? Do you need auxiliary equipment, such as chemical pretreatment, for example? There are many factors affecting the operation of a clarification process. Among these are chemical pretreatment; power, water, air, or other utilities; operator attention; cleaning requirements; and maintenance needs. 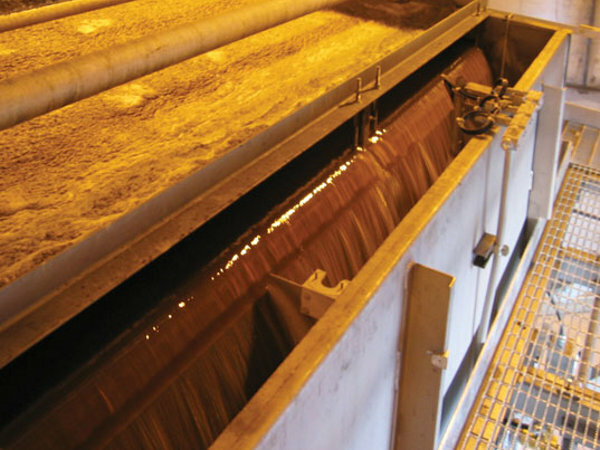 All of these should be considered when selecting a wastewater clarification system. Komline-Sanderson has been a leader in liquid/solid separation equipment design and manufacturing for over 60 years, meeting the needs of both industrial and municipal clients. 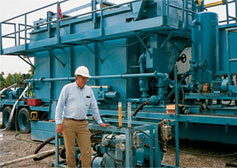 Our equipment operates worldwide in an ever-growing range of process and wastewater applications. Expert process insight, outstanding customer service and high quality equipment make K-S a valuable partner throughout the project cycle. Lab and pilot testing service is available to assist in equipment selection and sizing. 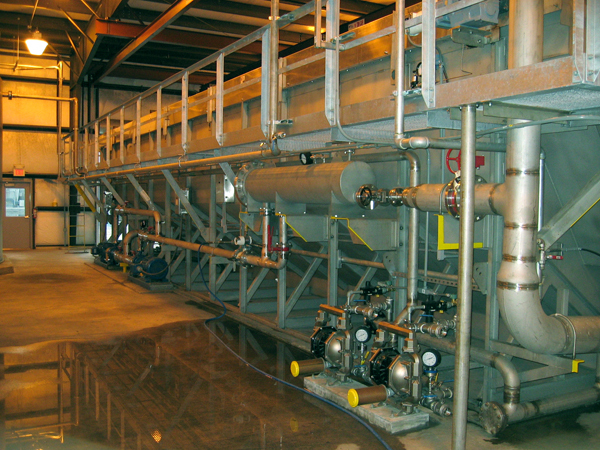 Komline-Sanderson Dissolved Air Flotation Clarifiers are designed to meet each client’s specific process needs. The design of the flotation tank using either a flat or v-shaped bottom depends on the characteristics of the influent. 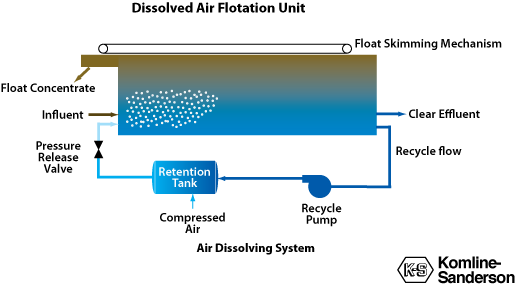 Bottom collectors are sometimes used to remove solids that might settle at the bottom of the tank. The air dissolving system on the K-S DAF Clarifier ensures the efficient mixing of air into the recycle water from the flotation tank. A top collector skimmer assembly is used to remove concentrated float from the tank. The floated material is skimmed to a discharge hopper at one end of the tank. 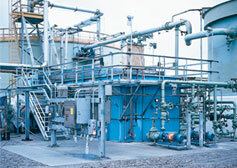 K-S process and project engineers provide assistance at all phases of the project. Depending on your specific requirements, K-S can provide you a DAF Clarifier only or a complete system. A successful plant depends on the integration of the key process units with properly selected ancillary equipment and the right facility design. Reliability, ease of operation, rugged construction, performance, and the superior customer service are all trademarks of a K-Sinstallation. A typical system includes the DAF unit with recycle pump and air dissolving system as well as chemical pretreatment tanks, mixers, and pumps. Depending on customer needs, concentrated float dewatering equipment can also be provided. Controls and instrumentation are available to complete the system. Dissolved Air Flotation is designed for the removal of suspended solids or water immiscible liquids from process or wastewater to produce an effluent of high clarity and free of objectionable particles or liquid. Dissolved air flotation is best applied to remove materials that normally settle slowly, persist by remaining in suspension, or have a tendency to float. A simple lab test will generally determine if the use of a DAF is feasible. Further testing can be done to simulate the operation of the DAF under specific operating conditions. Can a DAF be used in a batch process? 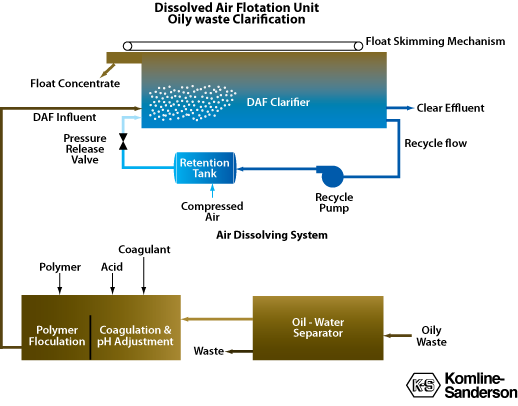 Yes, although the DAF operates as a continuous separation device, it can be used in batch processes. In these cases, the unit would be operated intermittently as needed. How is the correct size determined? Lab or pilot testing is often the best way to determine the correct separation characteristics of a given waste stream. In many cases, a DAF has been previously installed or tested for the same or a similar application. This provides a good starting point in selecting equipment. The design of the DAF can be changed to suit specific needs for a given application. Bottom collectors are used in a DAF to remove any portion of the influent solids that settle rather than float. DAF’s can be constructed of a variety of materials including carbon steel or stainless steel. Generally, chemical pretreatment tanks with mixers and chemical metering pumps are required. 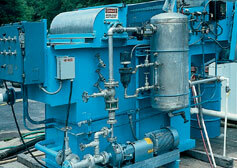 In some cases feed or effluent pumps are needed as well. Depending on customer needs, dewatering equipment can also be provided. Auxiliary equipment can be provided by K-S for a complete system including controls and instrumentation. Electric power is required to run the skimmer drive as well as the recycle pump. Compressed air is required for the air dissolving system. The DAF is essentially a hands-off machine that requires little operator attention. Maintenance usually involves lubrication of drives and bearings and occasional replacement of wear items. It is difficult to give a specific cost since there are many sizes and designs of DAF’s. DAF pilot units are available for rental for testing at customer facilities.